Biometrics technology measures physical and behavioral characteristics to verify an individual’s identity and the patterns can be anything from fingerprint, facial, voice, palm print, and voice recognition. According to a report by Report Linker, global biometrics market stood at $12.84 billion in 2016 and is projected to reach $29.41 billion by the end of 2022. The increase in biometrics use is observed due to its adoption in an array of recent solutions which include mobile payment, online banking, immigration services, IoT, wearable devices, on top of the existing workforce management, e-Government processes and many more. In general, biometrics-based technology has been largely accepted by the general public due to its feasibility/affordability, and fingerprint technology leads the way by 91% market share as reported by French research firm Yale which finds that fingerprint-based biometrics dominated the $4.45 billion global biometrics market in 2016. Biometrics Technology Improves Staff Efficiency Biometrics-based technology such as fingerprint verification and facial recognition has been proven to be user-friendly and more reliable than other verification methods such as cards and password systems, and it was introduced to the workforce management system to streamline the collection of attendance data from manual to automated, in addition to some value-added advantages. Hence, the number of biometrics technology deployment as an authentication method for workforce management solutions has increased tremendously over the last 20 years for one simple yet crucial objective of any company: to improve bottom line profitability with better workforce management. Biometrics Technology Automates Data Collection Employees are hired for their different skill sets and this applies to any corporation, organization or government department. Therefore, it’s important for a workforce management system to be able to quantify the amount and types of labor needed to accomplish certain jobs on a daily or hourly basis. By installing biometrics solution that ties to the correct scheduling, employee pay class, and work codes, data collection can be done automatically and accurately thus saving the company not only money but a lot of time as well. 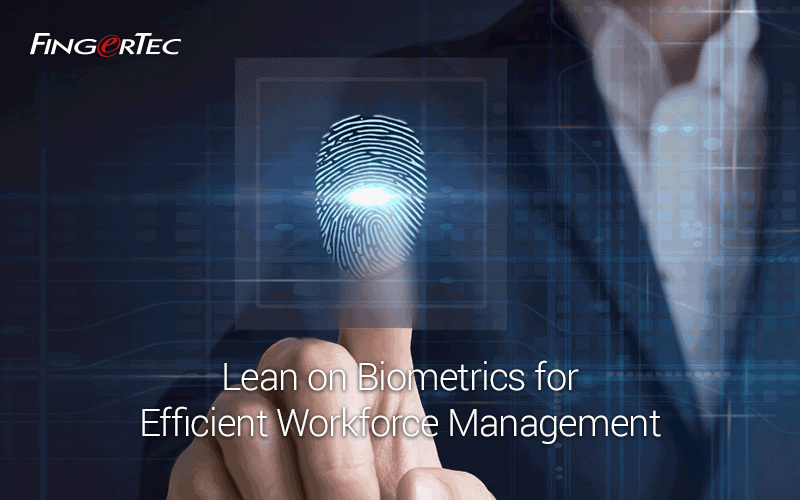 With biometrics-based technology, employees can move fluidly throughout the day based on their job tasks or schedule, yet the management doesn’t lose control of the most important matter, time and task performed. 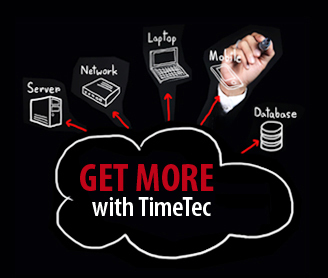 Biometrics Prevent Time Theft Time theft at work is common and is causing companies annual lost in the billions. Some employees steal time intentionally and some don’t even realize that they are doing it because they always fail to see the value of 10-15 minutes extra break a day to the company’s bottom line profitability. Time theft at work happens when an employer has to pay a salary for the work hours that the employee hasn’t even served. For example, if you have a staff making $10 an hour and he has an average short of 2 hour weekly, that adds up to $960 a year of lost time and company money, and that number could simply multiply if there is no effective solution being placed to curb it. Biometrics is designed to measure the features of the body that are unique to each person. They offer greater accuracy in attendance whereby it eliminates “buddy punching” occurrences automatically. Higher ROI with Biometrics With all the advantages it brings, biometrics is definitely going strong for workforce management system, because obviously, biometrics promotes ease of use, accuracy, and efficiency way past its investment value, and as we are looking into the future of cloud solutions, AI and big data, there’s no better system that can capture accurate identity of an individual as good as biometrics. 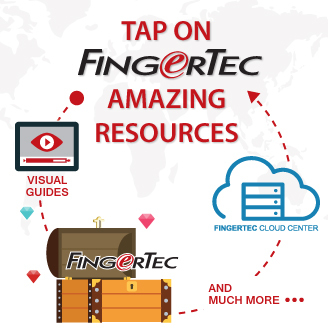 FingerTec is a global brand in Biometrics for workforce management and door access solution. We offer a range of fingerprint, facial recognition and card products suitable for any type of office and all our hardware comes complimentary with powerful time management software and door access management software. 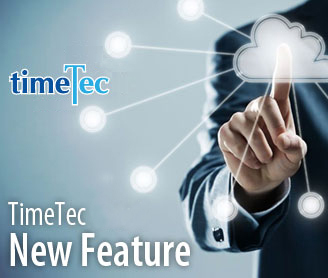 For cloud solutions for time attendance, leave management and many more, visit TimeTec.